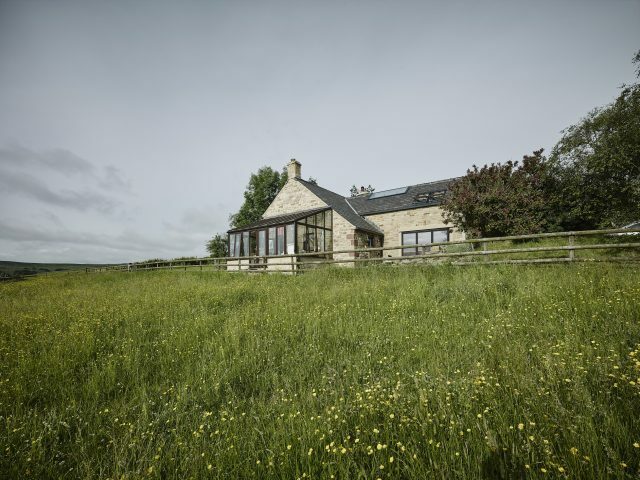 Hocker Farm is a stone cottage in Longnor, Buxton, within The Peak District National Park. 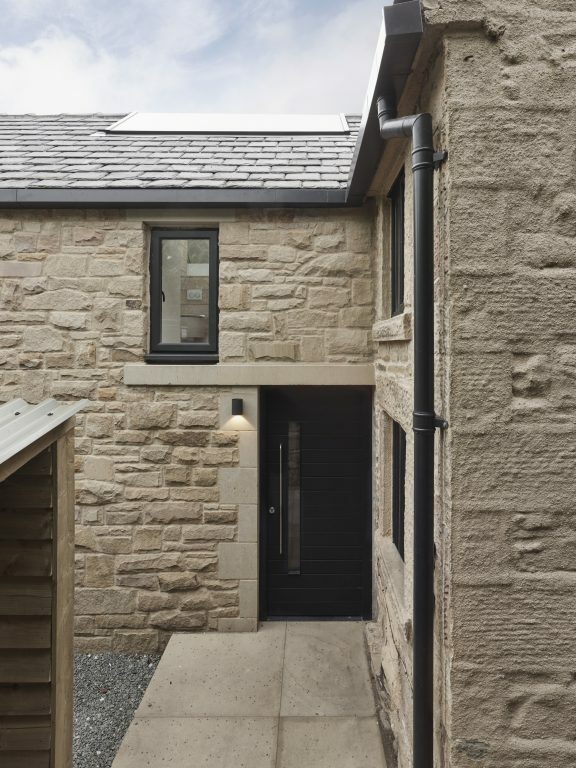 As such, any development had to be in-keeping with the local context, which entirely formed the external appearance of the extension. 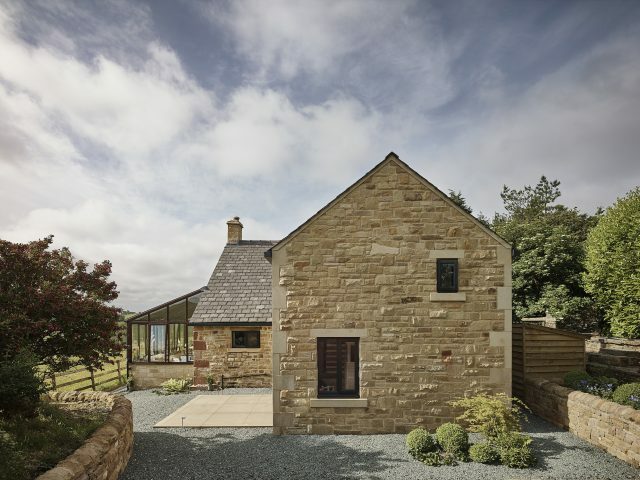 The brief was to extend the existing cottage to accommodate extra living and bedroom space. 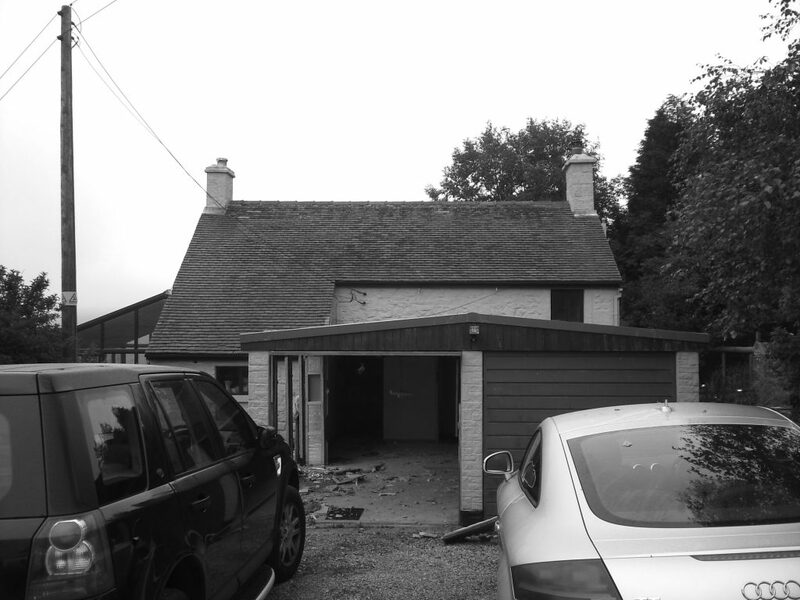 Constrained in size by the original garage footprint, the challenge was creating the extra rooms within a relatively small volume of space. 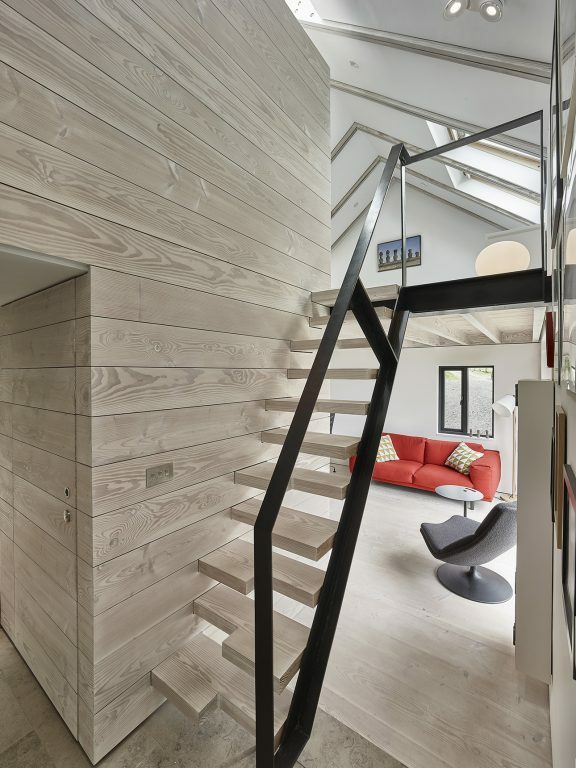 Considered floor and roof structure, a ‘space-saving’ stair and an open-plan approach enabled the brief to be met. 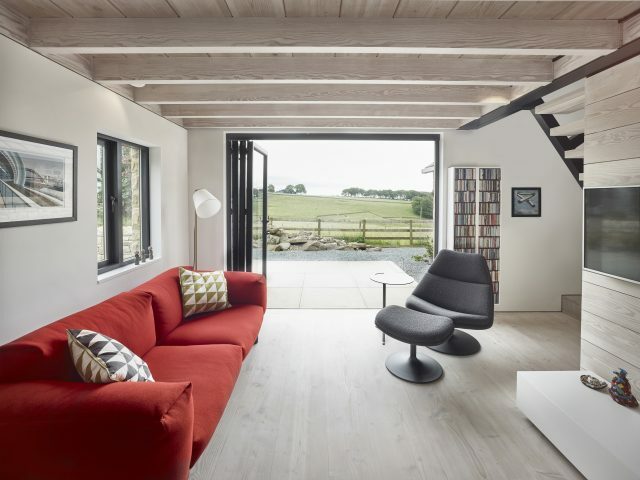 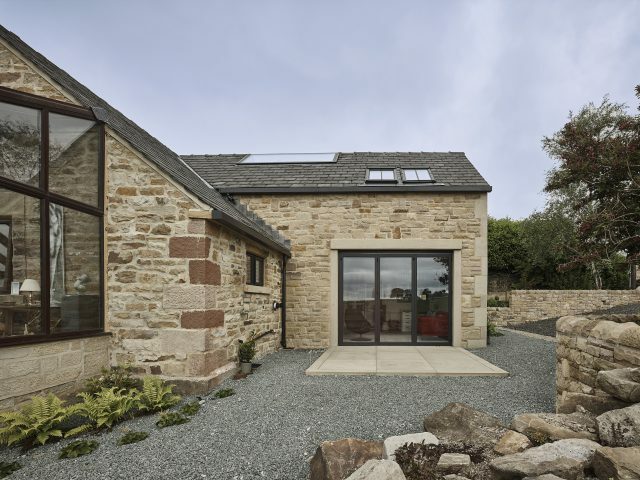 The internal spaces, free from planning constraints, were designed to be light, clean and contemporary and to contrast from the ‘cosy’ spaces of the original cottage. 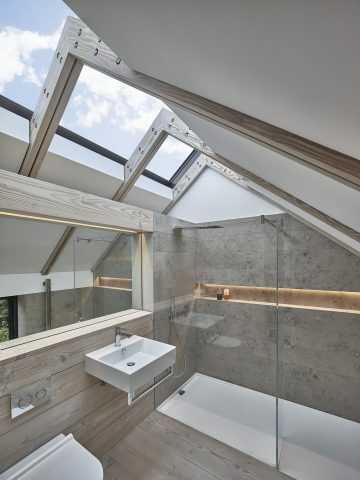 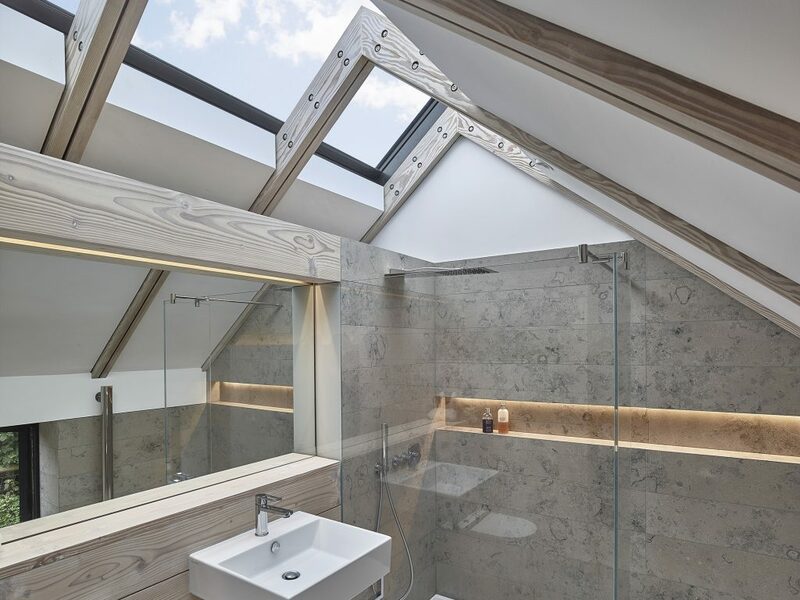 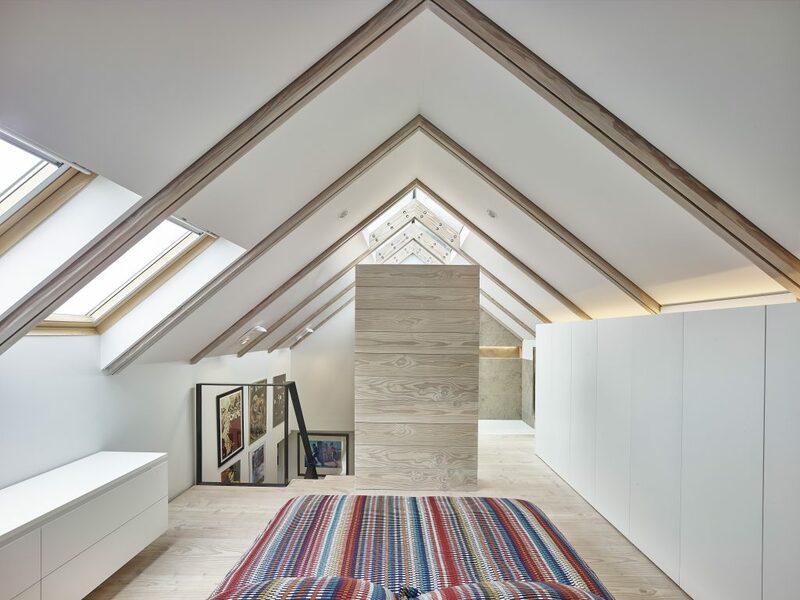 A glass-to-glass ridge rooflight serves to flood light to en-suite, stair and hall under. 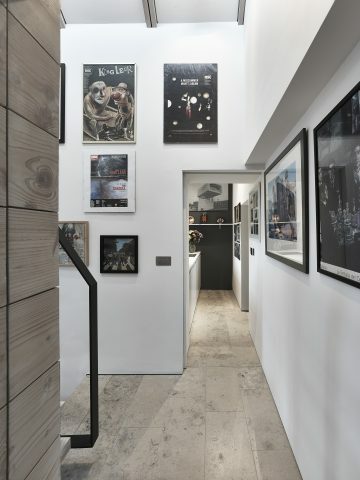 All interior, lighting and furniture design by Donald Architecture.